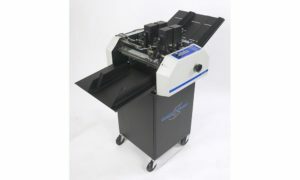 The Graphic Whizard 3000 is designed as a mid-volume, Automatic Number/Perf/Score/Slit Machine, ideal for the printer who does more numbering than can be efficiently accomplished on a hand-fed machine. 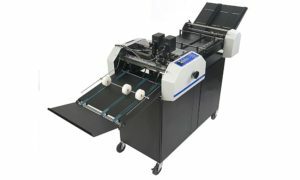 The Graphic Whizard 6000 is the most popular Automatic Number/Perf/Score/Slit Machine in the industry. Heavy duty construction makes the Graphic Whizard 8000E Automatic Number/Perf/Score/Slit Machine ready to run all day, every day. Identical to the Graphic Whizard 8000E, the Graphic Whizard 8000P Automatic Number/Perf/Score/Slit Machine adds pneumatics to the mix. 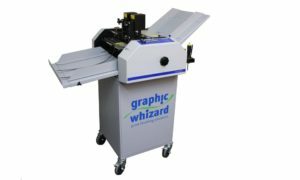 The Graphic Whizard 8000P-DS Automatic Pneumatic Numbering System with double shafts (DS) gives its users greater productivity and versatility. 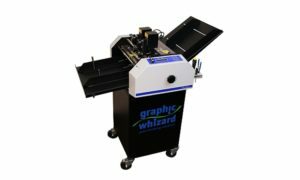 With all of the same benefits of the Graphic Whizard 8000P, the Graphic Whizard 12000 Automatic Pneumatic Numbering System adds higher production speeds of 12,000 SPH while maintaining registration and accuracy.